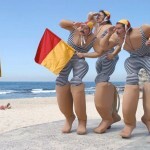 Roving Stilt Life Savers - ""
Sharks beware! 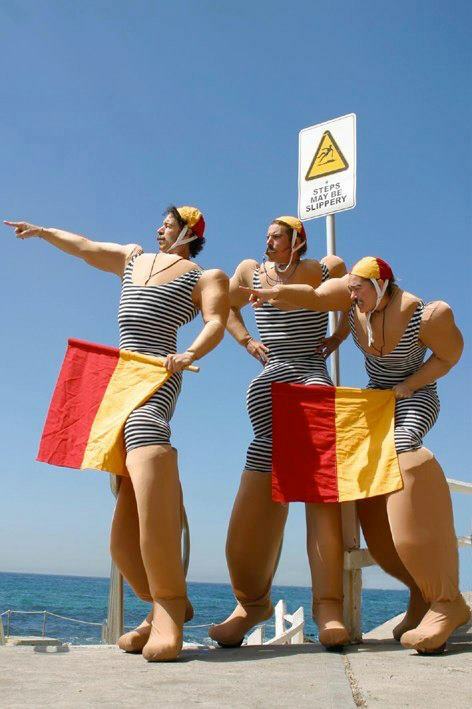 BEACH PATROL LifeSavers are ready to rescue. 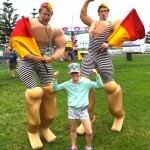 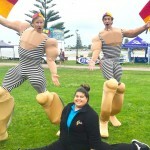 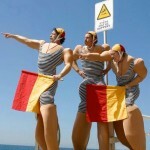 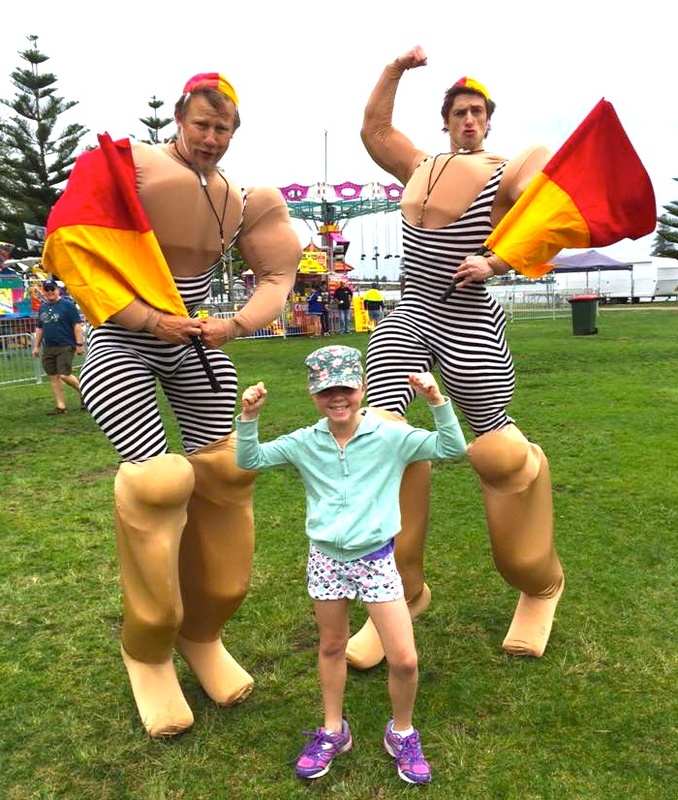 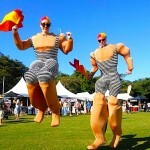 Hilarious roving Stilt Life Savers from Sydney keep any event alive! 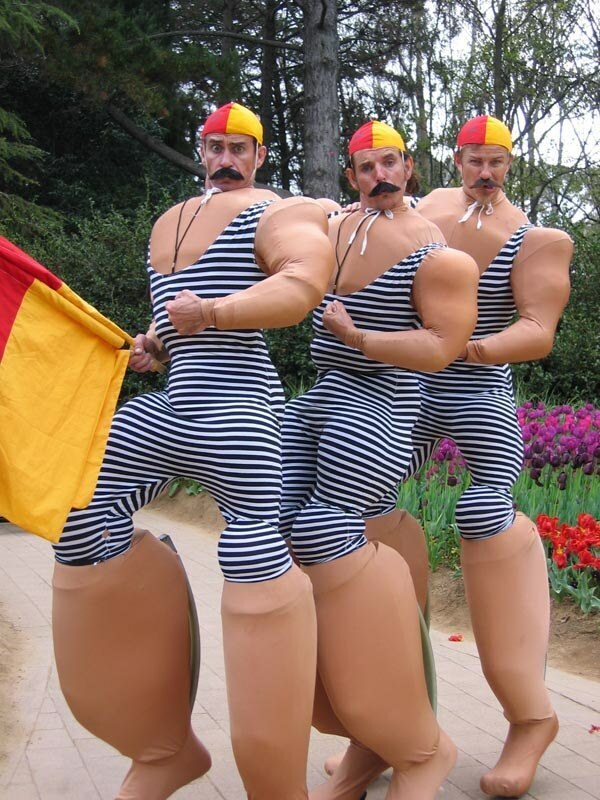 Be dazzled by their daring drills! 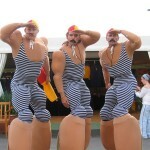 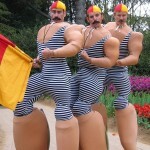 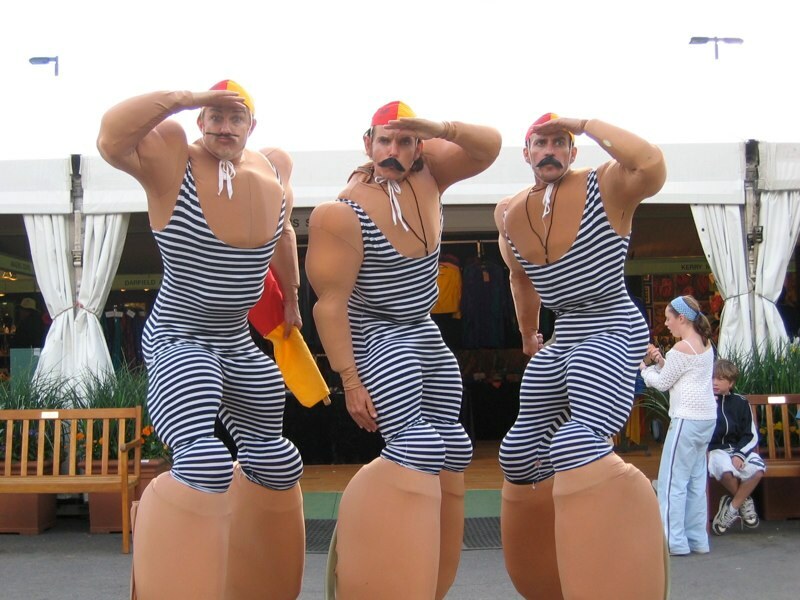 You’ll need CPR after these moustachioed musclemen have bared their biceps while diverting danger. 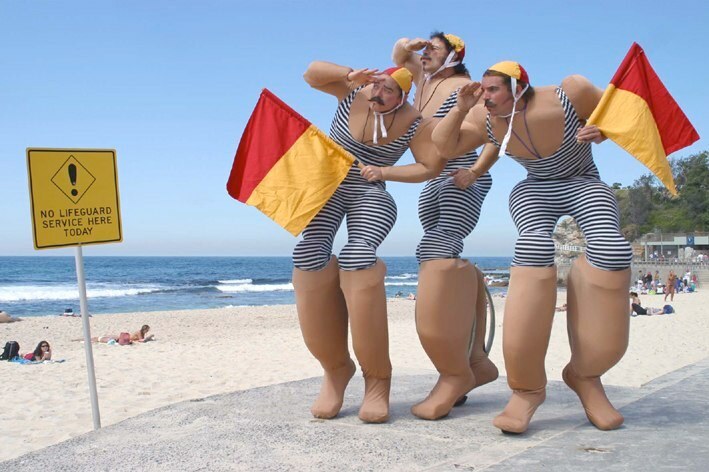 Swim outside the flags at your own peril. 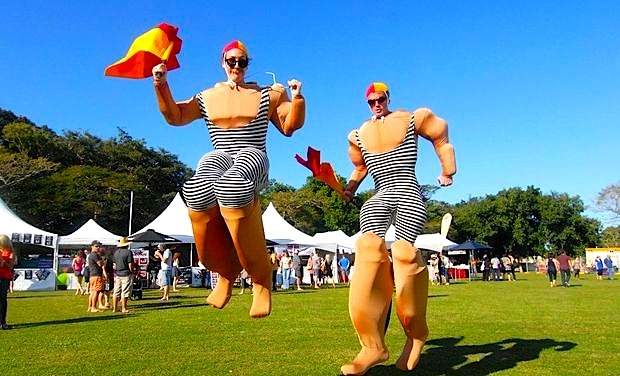 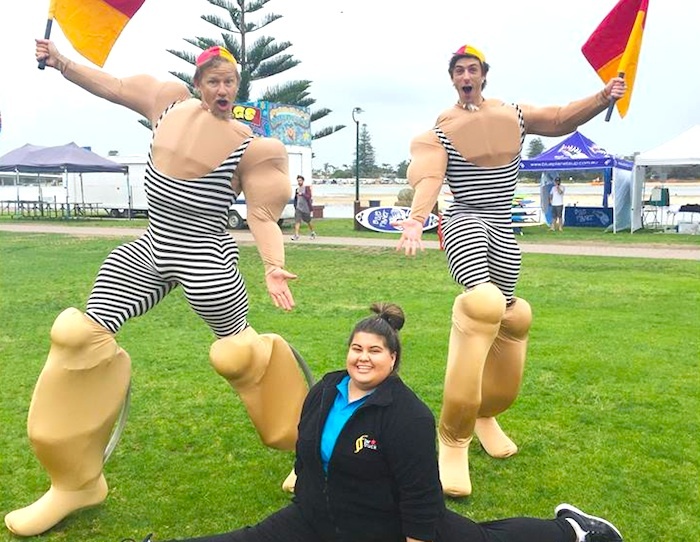 Roving on specialised bouncing stilts & suited to events with an Australian, summer, or beach theme, or just any event that wants great fun entertainment. 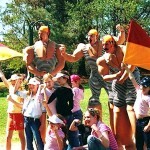 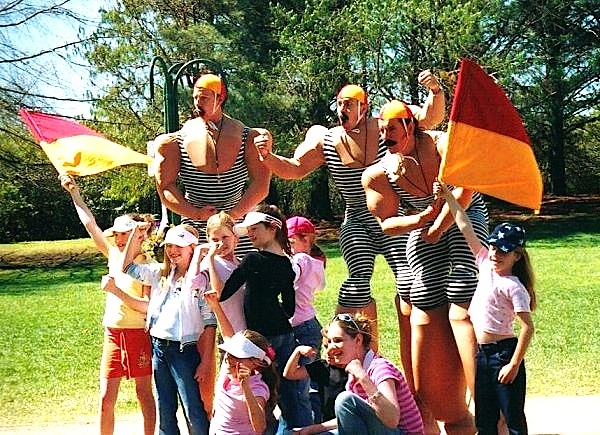 Also perform as the Kangaroos, Seagulls, Elves, Sporting Legends, Candy Canes and more!